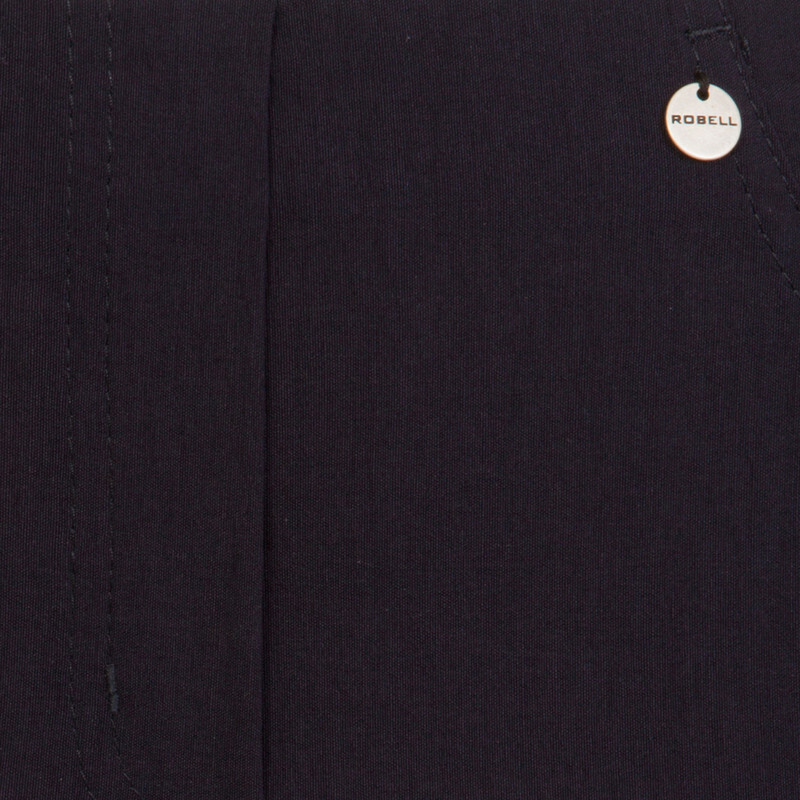 Robell Bella 09 fleece lined trousers are the ideal trouser for the colder winter months. Bella 09 trousers feature faux front pockets, two back pockets and a turn-up hem. Versatile and easy to wear, Bella 09 are available in an array of core and seasonal colours as well as limited edition prints. 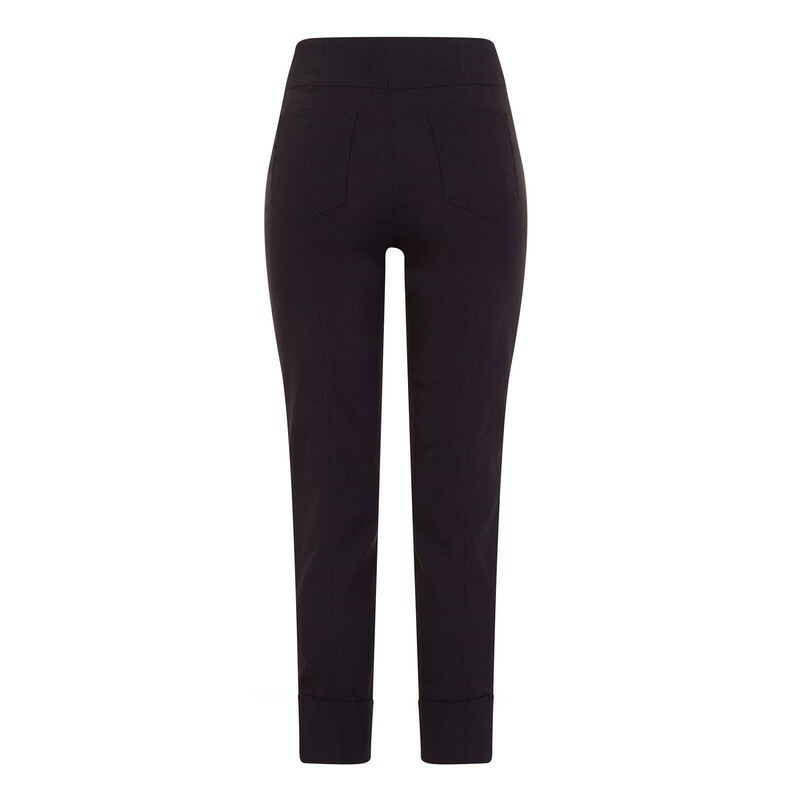 The straight leg, pull-up design makes these trousers super flattering whilst the stretch bengaline fabric means they are extra comfortable with the added soft, bulk-free fleece inner lining. The smooth waistband is perfect for wearing under your favourite tops and the 7/8 length creates a modern, stylish shape that can also be worn as a cropped or full length depending on your height. Bella 09 fleece lined trousers are generous fit. We recommend trying a size smaller than your usual trouser size. 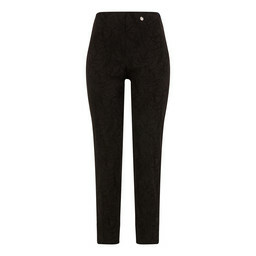 Robell Bella are a straight leg trouser with added pocket details. They feature two back pockets and two faux front pockets to offer practicality as well as style. Bella trousers have a flat elasticated pull-up waistband and double seam detail running down the back of the leg. Bella 09 trousers are well known for the turn-up hem detail which was added to hold the trouser in place for the perfect fit. Bella trousers are a generous fit, we recommend trying at least one size down.